When it’s an adult-only, child-free location you want these two fabulous hotels on the Canary Island of Tenerife definitely fit the bill nicely. Located on the Costa Adeje the Grand Hotel Salome has 120 rooms and 24 luxurious suites all with free wifi and flat screen TV. Make the most of this child-free environment and enjoy the Thai Zen Spa, workout in the modern gym, the heated indoor pool or playing tennis but if just relaxing is the name of the game bask in the sun by the large pool. Set between Duque and Fanabe beach this is also an ideal spot for diving, windsurfing and also golf. The colonial style Grand Hotel el Mirador is just off the Duque Beach giving fabulous views of the ocean. This 120-room luxurious adults only hotel has elegant luxury suites with walk-in closets and canopy beds. The private furnished balconies have beautiful ocean-views for a cosy sun-downer. It has everything necessary for a relaxing island holiday. Free Spa, fitness gym and a huge, heated pool which surrounds the main building. 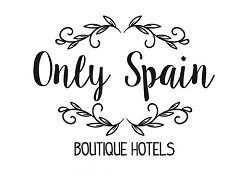 Breakfast and dinner in the restaurant is Canarian and International buffet-style, there is also a poolside restaurant and a gourmet restaurant – El Cenador and by pool the Tosca bar offers drinks and tapas day and night.